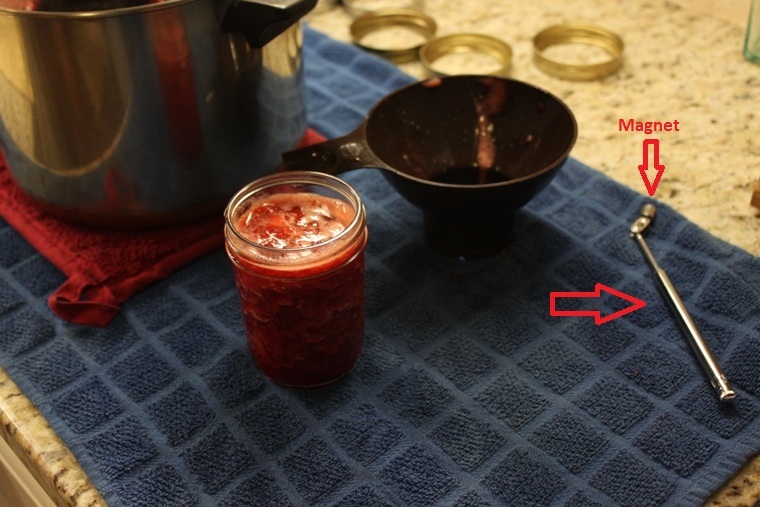 Before I post about my awesome strawberry jam from last weekend, here’s another pre-post on canning equipment. 1. Water bath canner. I have a 7 quart jar Water-Bath Canner that I bought on sale at Westlake last summer for about $17. 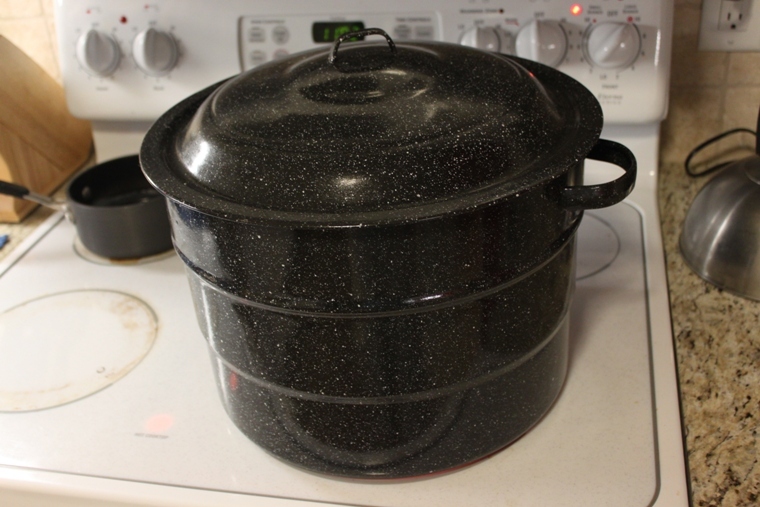 A water bath canner is basically a giant pot with a rack for the jars. I can process up to 7 quart jars at a time in the one I have. But I don’t have to do that many every time nor do I have to do quart jars. It works for all sizes. Water bath canners come in different capacities so the size of your family and the amount of canning you plan to do should determine what size you need. 2. Jars. Glass canning jars come in several different sizes. The smallest is a jelly jar (4oz), then there’s a half pint (8oz), a pint (16oz) and a quart (32oz). I use all three of the smaller ones depending on what I’m canning, but I never use the quarts because there are only two people in the Homemade Household. A quart jar of anything would go bad before we could use it all. Jars can be purchased at Walmart and most hardware stores. They come in boxes of 12. You can also check second hand stores or ask your relatives. My grandma had a bunch of canning jars in her basement that she gave me. 3. Lids. Jar lids are the round metal discs that sit on top of the jars. They have a seal around the rim on the inside. 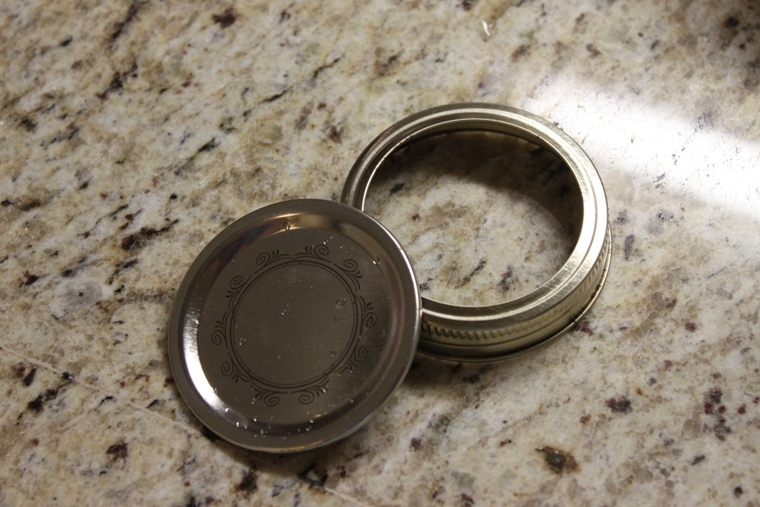 Lids can only be used once in the canning process. After you’ve used them for canning you can use them on jars you use for storage or in the freezer. Lids can be purchased separately or you can buy them in combination with bands. 4. Bands. Bands are the rings that screw onto the jars and hold the lids in place until they are sealed. Bands can be used over and over again. Bands can also be removed once jars are sealed and used on other jars. So you don’t necessarily need a band for every jar. When I need a band and I can’t find one I steal it off a jar that’s already sealed. 5. Funnel. 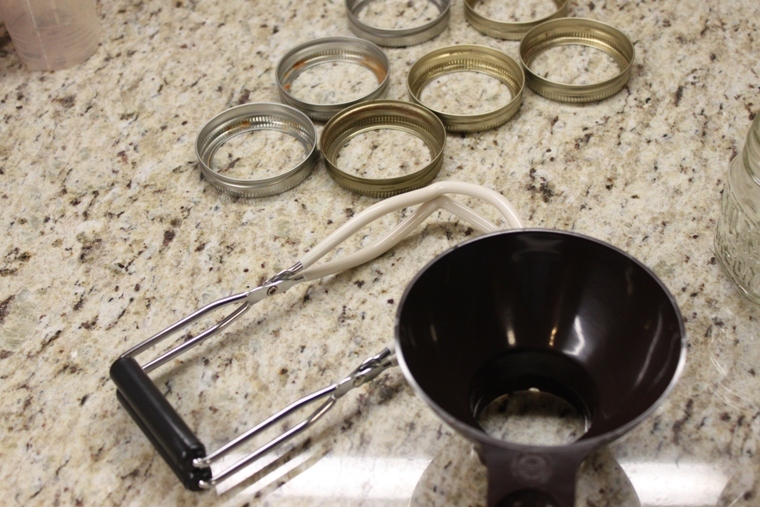 A canning funnel has a wider opening and fits perfectly inside canning jars. This tool is very inexpensive and it is a must-have unless you are a perfect ladler or want a mess all over your counter. 6. Jar Lifter. You may think you can get away with not having a jar lifter, but trust me you’re wrong. I originally thought I could just use tongs to lift the jars and quickly realized that simply does not work. The jars are too heavy and tongs can’t grip them the right way. So pony up the cash to get the jar lifter. You’ll be happy you did and so will your hands when you don’t burn them on boiling water. 7. Towels and/or dishcloths. Several towels and dishcloths will be needed to help handle hot jars, wipe off the rims and clean up any spills as you go through the canning process. 1. Magnetic stick thingy. I have no idea what the technical term is for this tool, but it’s a telescoping stick with a magnet on the end that I bought at Westlake. It’s very useful for fishing lids out of hot water because they stick right to the magnet. This is not necessary because you can fish them out with tongs if you want. 2. Ladle. 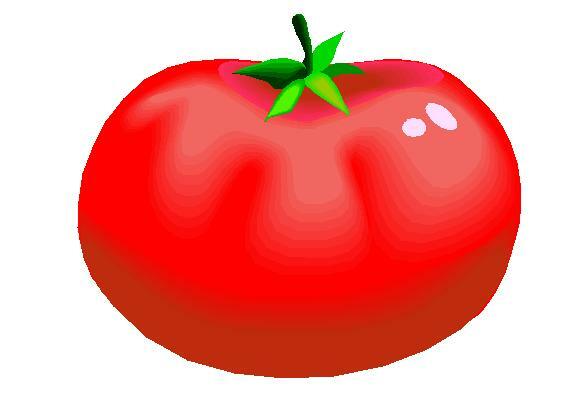 The ladle is used to ladle the hot whatever-you-are-canning into the jars. I suppose it’s not completely necessary as you could use a spoon, but the ladle is easier and makes it go faster in my opinion. 3. Canning Book. There’s a lot of information online so a canning book is not completely necessary. But I bought the Ball Complete Book of Home Preserving last year and have found it extremely useful. Not only does it have basic canning instructions along with tips and tricks, but it also has tons of recipes. So when I have a bumper crop of something (strawberries!) I can flip through the recipes to find ways to use up my extra harvest. And I know I can completely trust that the recipes are appropriate for canning because the book was written by the peeps who make the jars. Unlike a recipe online where you can’t be completely sure. I hope you are having a great start to your holiday weekend! I got in a nice run this morning and then got a haircut. I hadn’t had my hair cut since last October. Sheesh! I love canning! I started off last year using only quart but the pint jars work alot better since with only the two of us it takes so long to go through quarts. I totally need to get a canning funnel. I remember my mom using them but last year was my first year canning and I never got one. Thanks for the reminder!